If you had told a younger me that 10 years later a vacuum would bring me so much joy, I would never have believed you. But I just got a new vacuum and it is life-changingly awesome! I can't believe that I get so excited now about household appliances. 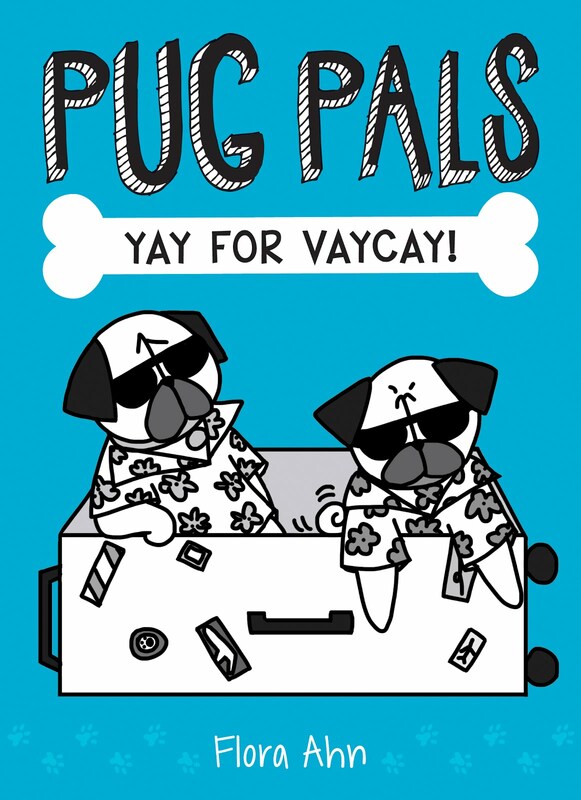 But having two nonstop shedding pugs will do that to you! I previously had a Roomba which I really liked at first. It's easier in lots of ways and it can go under furniture because it's so small and low to the ground. But it kept getting stuck on my chairs and I ended up having to clear a room of all small furniture before turning on the Roomba which got to be a pain. 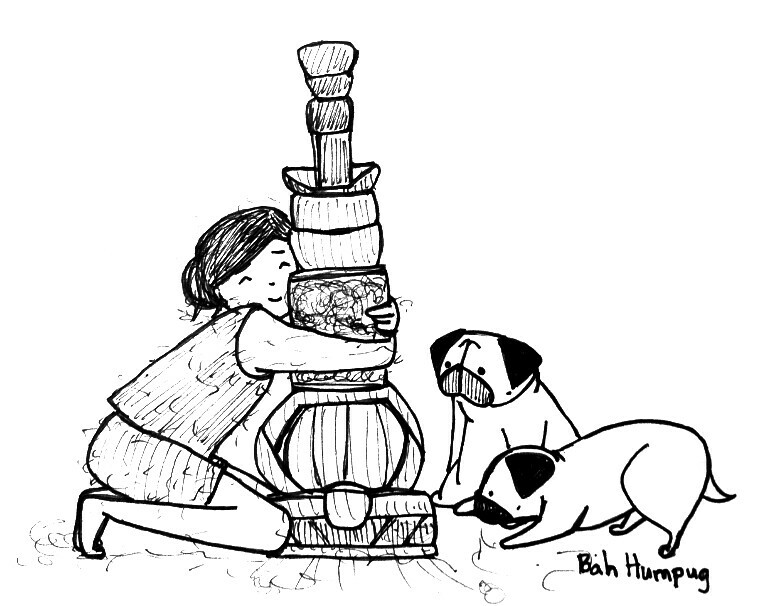 It also has a very small bin which would quickly fill up with pug fur so I had to empty it repeatedly. And I didn't feel like the suction was that great for carpet. A few weeks ago the battery just started dying and wouldn't hold a charge. 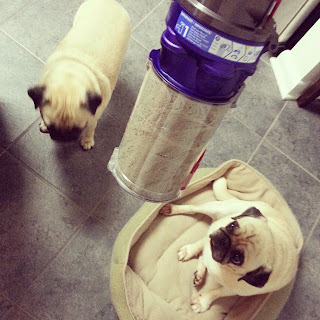 So I decided to use this as an opportunity to upgrade and I got a Dyson animal (compact version). It was pricy but omg is it amazing! The suction power on this is so strong that you can feel it when you try to push it along carpet. And afterwards my carpet had never felt so clean before! I think the Roomba did a good job of getting surface fur, but it didn't have the power to get the furs deep within the carpet fibers. The Dyson is also super light weight and relatively easy to maneuver. And you can turn the handle upside down and use it as a suction hose or with various attachments. I always resisted Dyson because of the high price and their stupid commercials (I know it's a stupid reason to dislike a product but I've always hated their commercials ever since that first one where the man is just talking about the mechanics of something and you can't even tell he's talking about a vacuum! ), but this is by far the best vacuum I've ever used. I can quickly vacuum a room moving things as I go and end up with a spotless floor! It's about as loud as a hairdryer (nothing like the vacuum cleaners from when I was younger that would make me and my dogs go upstairs to my bedroom as my mom vacuumed). I think if you have a bigger house with carpet the full size Dyson animal may be a better fit since the bin is bigger and the cord is longer. 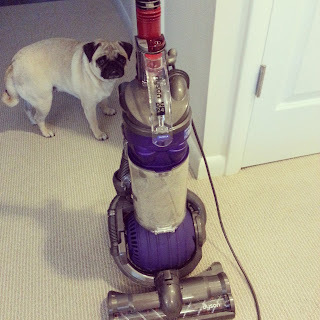 Anyways, behold my new Dyson and the pug fur it trapped (this was from my living room (carpeted) and kitchen). Rosy does not like the new vacuum but she can't bear to be separated from me so she alternated between scurrying after me and running away from the vacuum with her tail down. Yep. 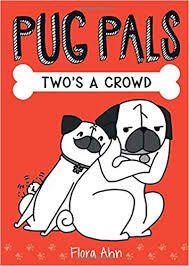 We've got a pug and 2 bigger dogs. The Dyson is the only thing that really works for us, too. Congrats on your happy discovery! I have a Shark. 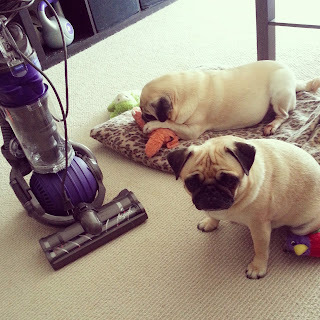 (And six dogs, one pug) Never spent that much money on a vacume before, but it is so worth it! I've had my Dyson for 10 years. Even with 8 shedding dogs (including 2 Pugs and a Siberian mix), it's still going strong. I'll always have a Dyson! Sure enough, I returned home to a nightmare scenario -- my entire kitchen and laundry room floors were painted in artistic circles of pug poo. I still have an eye twitch from the trauma of cleaning THAT up! Dyson is a famous brand and reliable when it comes to market vacuum cleaners! Thank you for information. If you are interested in Dyson`s competitors, such as Shark Roomba, etc., you may check also this resource https://bestvacuum.reviews/vacuum-under-100/ . They have lots of information about vacuums, though I sure that Dyson is in the first place among other manufacturers.